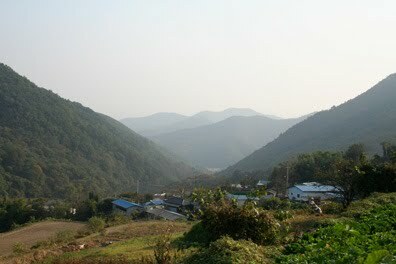 There is an old Korean saying, “Behind every mountain is another mountain.” The mountains of Korea are magnificent so it is no wonder that many temples are built there, In the mountains one is close to nature and nature and the natural are at the core of Korean aesthetics and philosophy. 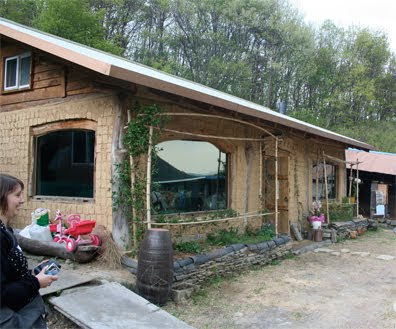 Park Jong Il, a very spiritual tea ware artist, selected a spot near the top of a mountain to build his home and tea gallery. 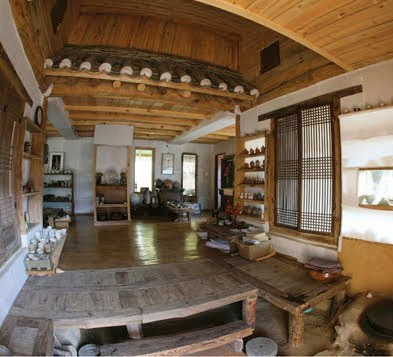 His home and tea gallery were built by hand from raw clay and naturally hewn trees in the same manner that many ancient Korean potters built their homes and studios. Being a tea ware artist has many facets and Park Jong Il is more complex than many. With this blog we hope to go more into depth with his life and work to help you gain greater appreciation of what it takes to be and artist for tea. Join us as we learn more about Park Jong Il and his work. 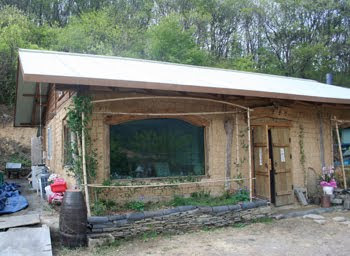 It is fitting and particularly interesting to a tea lover that the clay to build the walls of this tea gallery came from the historic tea mountains of Jirisan near Hadong. It is the same source of clay for many old tea bowls. 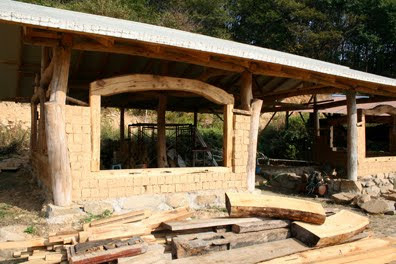 Trees from the mountains were hewn to support the tea gallery. They contribute to the feeling of being close to nature while in the gallery. 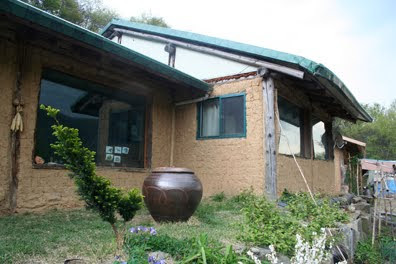 Jong Il is brilliant yet remains a simple, spiritual and sensitive potter living high in the mountains. While there are many tea ware artists in Korea, only a few have reached the level of financial success necessary to permit them to do everything they would like to do to their home or gallery. While a thatch roof would be very attractive and aesthetically compelling to have, they also demand considerable upkeep and can actually cause health problems. Jong Il would like to use handmade roof tiles but the labor and expense in currently prohibitive. In addition the art of creating tiled roofs by hand seems to be dying in Korea. 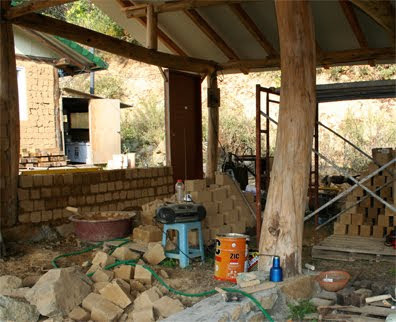 As far as we can determine the only authentic person in Korea who made roof tiles by hand was the human cultural treasure Han Hyun Jun who lived in Jangheung, Chollanamdo. Master Han recently passed away shortly after consulting on the reconstruction of the tiled roof of Namdaemun Seoul's South Gate that was destroyed by fire. I am sure others know how but he was the last of the authentic lineage. We my be posting about our friend Han Hyun Jun in a memorial blog. Watch for it. So, in other words, Park Jong Il's roofs currently are composed of some contemporary materials that are visible in the following images. Who knows what the future will bring? I decided to also post two images of the Park home built in the same manner. 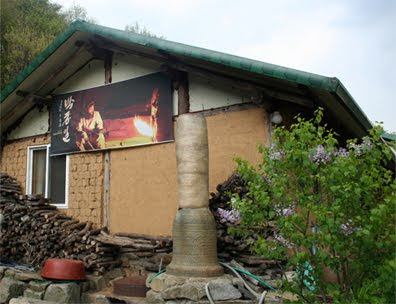 The first shows the chimney for their ondol heating system and the second a onggi pot made in Ulsan at the Oe-gosan Onggi Village. You can see and learn more about onggi at one of our other blogs. I know that you have been wondering what his work looks like. So I'll be posting several pieces. The first two images show his solution to "water and fire". 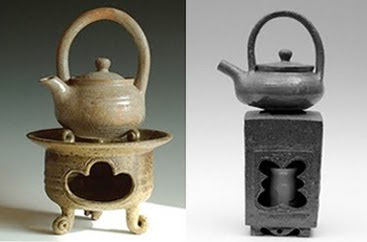 These water pots look a lot like Western teapots but combined with their "fire bowls" they are used simply to heat the water for tea. Jong Il has several solutions for handling the water for tea. I'll show them in the next addition to this post. Contact us if you would like to learn how you can purchase a cup, teapot or other teaware by Park Jong Il or would simply like to try one of his favorite teas.